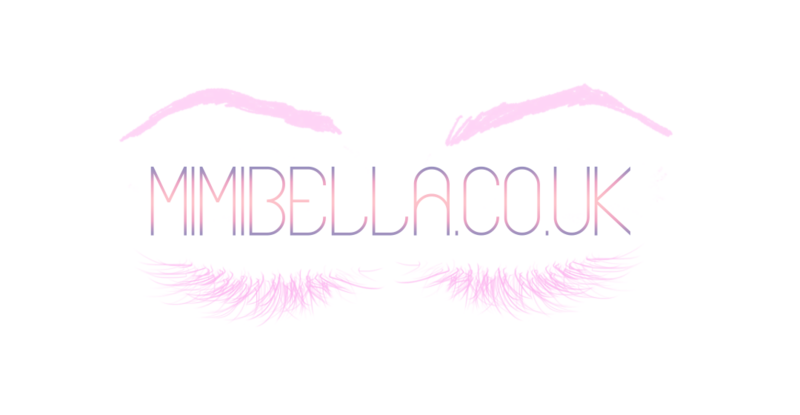 MimiBella.co.uk: My 2 New Favourite Products from Amie! 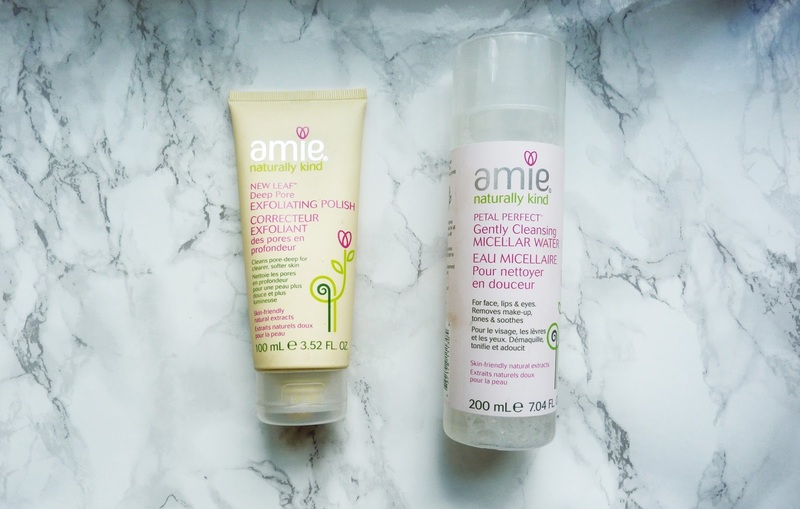 My 2 New Favourite Products from Amie! 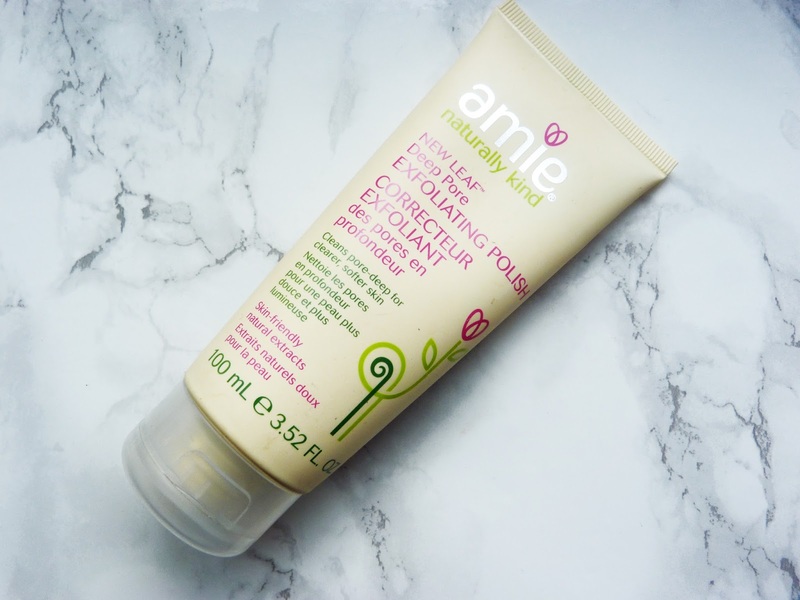 A few months ago I discovered one of my favourite pick me up face masks from Amie Skincare. Amie skincare is a skincare brand that pride themselves in using high quality natural plant and botanical ingredients containing no parabens, mineral-oils, petrochemicals, SLS, genetically modified ingredients and last but not least they do not test on animals or use animal ingredients. The New Leaf Deep Pore Exfoliating Polish* is a deep cleansing treatment that aims to lift away dirt, oil and any impurities to reveal clearer, brighter and smoother skin. It contains natural rice granules, and mango and orange blossom extract to help tone and refresh oily to combination skin. I use this exfoliating polish around 1 to 2 times a week, in the morning after washing my face or whenever I feel like my skin looks tired and dull; I find that it really brightens up my complexion and gives my skin a healthy, glowy boost. The consistency of this product is quite light and milky, and contains small rice granules which help to exfoliate my skin. 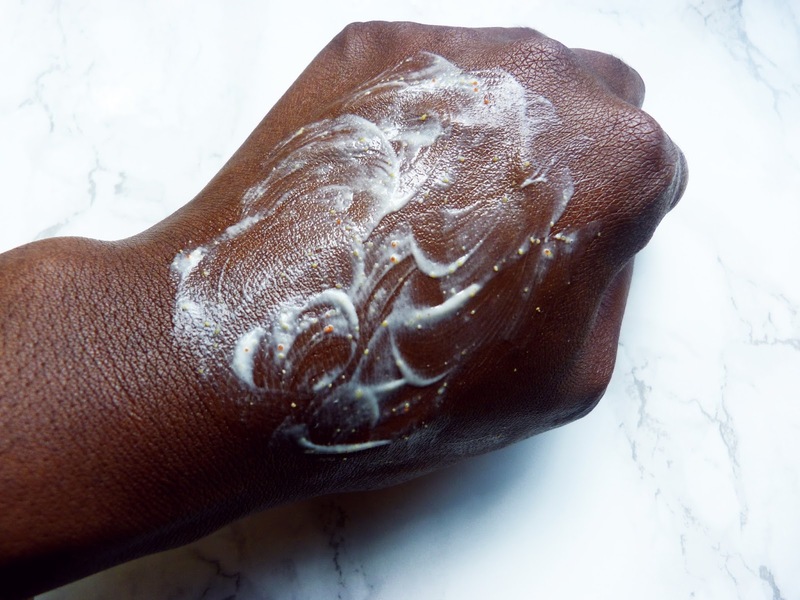 When using new skincare products I am always weary of how big the 'exfoliating' granules are because I do not want to to use anything that is over-abrasive to my sensitive skin. 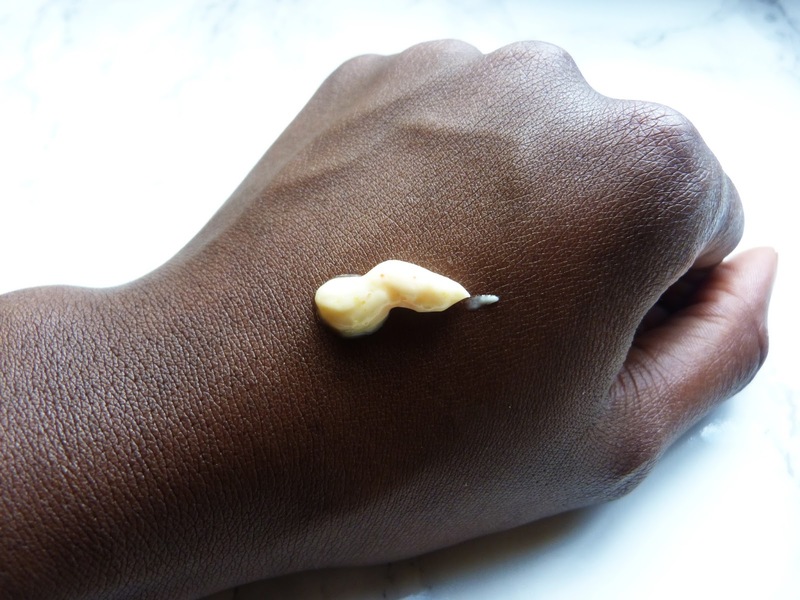 With this exfoliating polish the rice granules are so gentle and work so well with the creamy consistency of the rest of the product that I would even say that I could get away with using this product several times a week without irritating my skin. Next we have the Petal Perfect Cleansing Micellar Water*, an all-in-one cleanser, toner and make-up remover suitable for all skin types. It contains rose petals and argan extract aiming to refresh, tone and soften the skin. This micellar water is my go-to whenever I wear heavier makeup because it works very well at removing every trace of foundation, concealer, powder, highlighter, contour.. you get the gist. 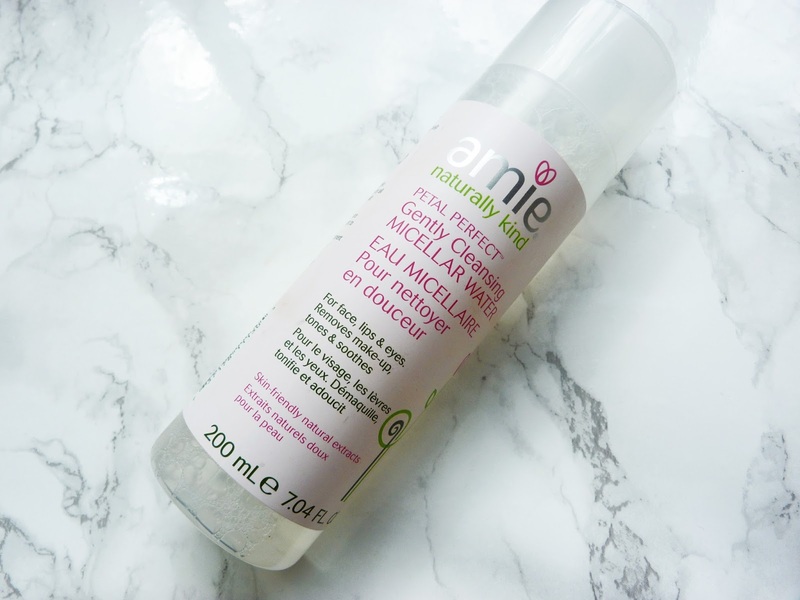 Personally the Amie micellar water works better at removing my make-up than the popular Garnier micellar water and I find that I also use less product compared to the Garnier micellar water. The only downfall of this great product is that it contains fragrance which means it is not very suitable to use on your eyes. This is a unfortunate if like myself, your daily make-up look is more focused on eye make up (Eyeshadow/Eyeliner/Mascara), rather than a full face of makeup, because you will have to find an additional product to remove your eye make-up. However if you are someone who wears more 'face' make-up than myself on a daily basis then this is the perfect product to ensure every trace of make-up is removed at the end of your day. The New Leaf Deep Pore Exfoliating Polish retails for £5.95 for 100ml of product which is quite affordable and because you only need to use small quantity will last you quite a long time. You can purchase here. The Petal Perfect Cleansing Micellar Water is £4.95 for a 200ml bottle which is also quite affordable but slightly more expensive when compared other high street brands; however as mentioned in my review you don't need a lot of product to remove a full face of make-up so this will definitely last you a while. You can purchase here.